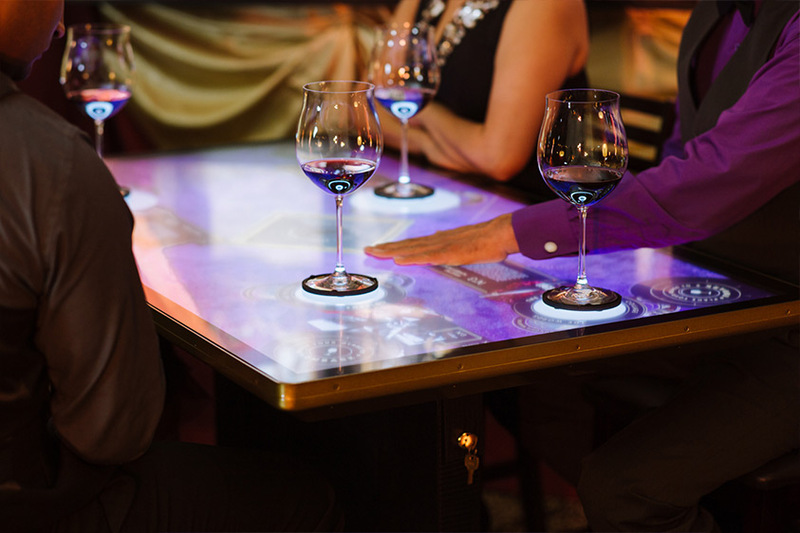 The interactive application uses 3D-printed wine glass bases with capacitive capability which act as fiducial markers, allowing the software to identify each individual wine. Ideum partnered with New York-based Graphene 3D Lab, Inc. on the engineering and materials used to produce the tangible markers. This project is first in a series in which Ideum’s proprietary fiducial software will be utilized. 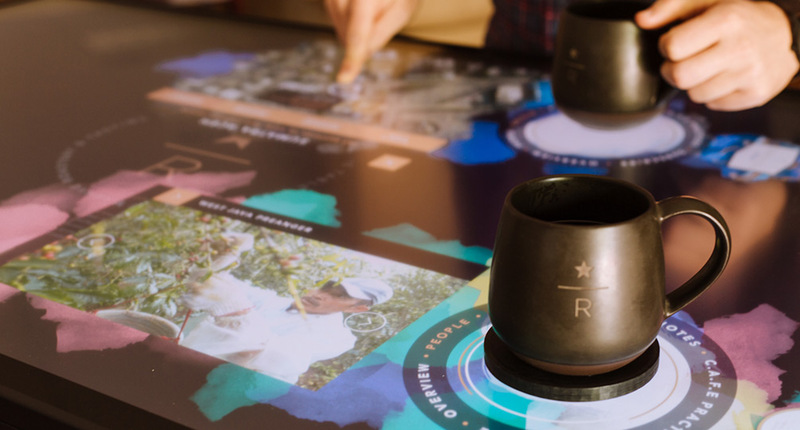 The second project to use the technology was created in partnership with Starbucks. The software system works on a modified Ideum Platform 55 4K UHD multitouch table that uses the latest 3M touch technology. 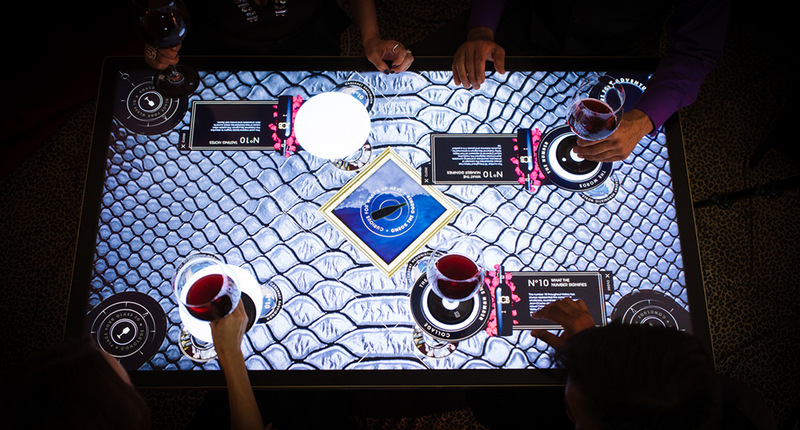 The table was customized by Ideum to match the JCB wine tasting salon. The one-of-a-kind Ideum Platform 55 has a gold top, and its base is clad in black crocodile skin. 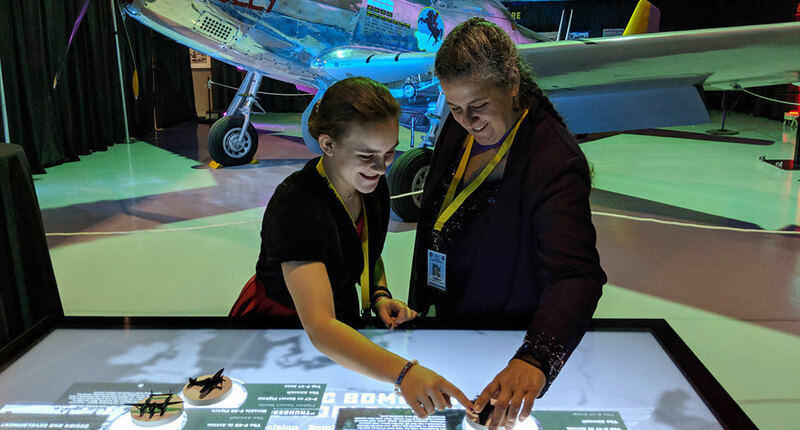 Ideum designed and developed the interactive software experience, the custom hardware, and the fiducial marker recognition system, and produced the demonstration video. You can see the Press Release announcing this project here. 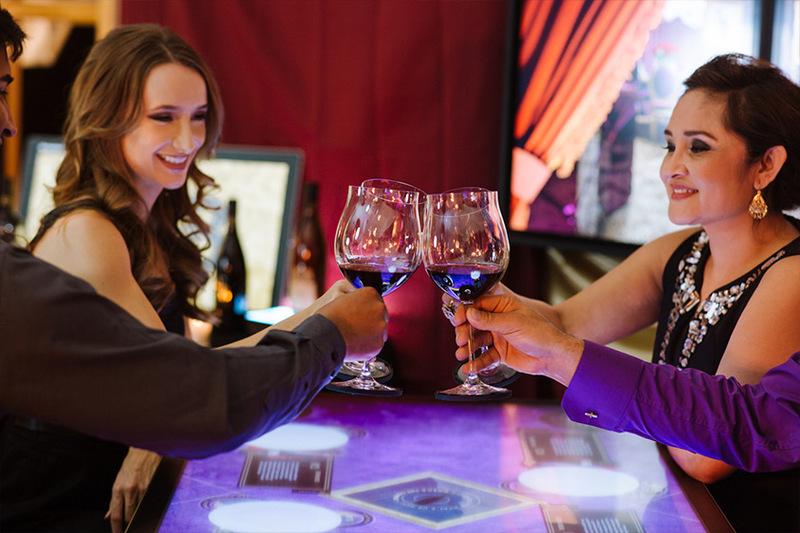 Developers can now use Ideum’s Tangible Engine to create experiences like the JCB interactive wine tasting. Visit tangibleengine.com to learn more. Presentations begin when glasses are placed on the table. 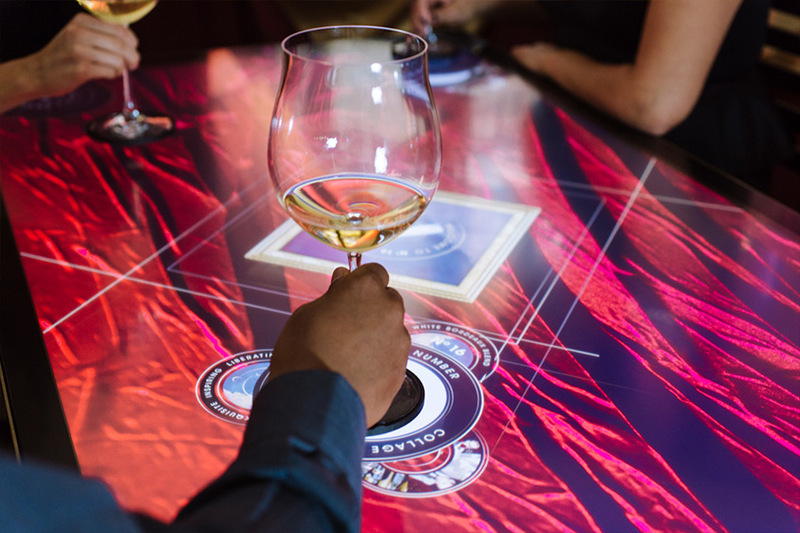 The software lets guests explore wines at their own pace. 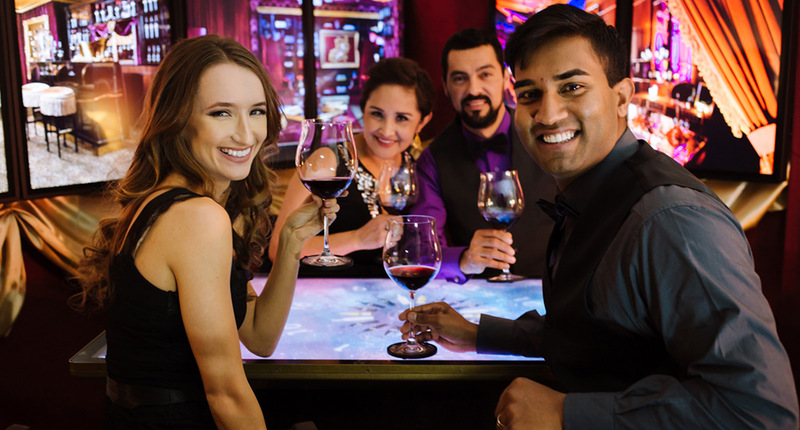 The custom table was designed especially for JCB.